The Wine Spectator released its Top 100 Wines 2010 list a few weeks ago. It is not so much a list of the best wines, but more a list of the wines that were most successful in the American market in the year 2010. It is a subjective selection and ranking of the Wine Spectator, on the basis of 4 criteria: (1) the tasting results, i.e. the quality of the wine, (2) the price-quality-ratio, (3) how the wine sells in the American market and (4) how “excited” the jury is about the wine. About 16.000 wines were tasted and about 4.000 of them scored more than 90 points on the 100 points scale. The Wine Spectator is the most influential wine journal in the US. 5 Rieslings made it to the Wine Spectator 2010 Top 100 List. Schloss Vollrads has a very nice wine tavern, where I like to go during the weekend when I am in Frankfurt am Main. It is just 30 minutes from Frankfurt by car. I have met Wilhelm Weil recently at the 1st International Riesling Symposium, Rheingau, Germany and have written about it here. “All French 3 star Michelin Restaurants carry Trimbach wine” says Jean Trimbach. This is really impressive and clearly shows what the name Maison Trimbach stands for today: Wines of the highest quality. Maison Trimbach is very export-oriented with more than 85 percent of the production being exported. It is both a domaine and negociant, thus it produces wine sourced from own vineyards (40 hectares) and from lease contracts (60 hectares). The Trimbach wines come in 4 quality groups: (i) the Classic range, (ii) the Reserve range, (iii) the Reserve Personelle range and (iv) the Prestige and Collection wines. The Reserve wines are made from sections with mostly old vines. These are more complex wines than the Classic wines and can age longer. I have visited Maison Trimbach in Alsace and have written about it here. 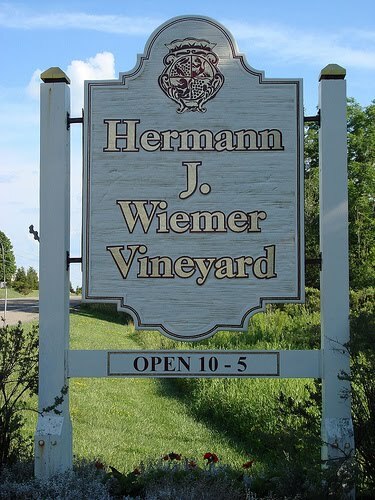 The Hermann J. Wiemer 2008 Riesling Dry Reserve is the first Finger Lakes Riesling in history, and the only American Riesling to reach this years Wine Spectator Top 100 Wines list. Hermann J. Wiemer is regarded as one of the pioneers of viticulture and winemaking in the Finger Lakes region in upstate NewYork. He was born and raised in Germany, and arrived in the US in 1968. His first wine was released in 1980. In the 30 years since then, the winery has been lauded as one of the nation’s premier white wine producers, in particular of Riesling. I have written about Hermann J. Wiemer in my "German Winemakers in the World" series. Hermann J. Wiemer has retired a few years ago. Today the winemaking process is managed by Hermann J Wiemer’s long-term winemaker Fred Merwarth who has worked closely with Hermann as one of his winemakers for the last 8 years. I had been to Lodi in California last year, when I visited my daughter in Berkeley, but I had not visited Klinker Brick Winery - named after prized bricks that adorn homes in Lodi – nor had I tasted their wines. So, I was thrilled when I could sample the Klinker Brick Old Vine and Old Ghost Premium Zinfandels at the Curious Grape Wine Store in Arlington Virginia and talk about the wines to Klinker Brick owners and fifth generation grape-growers Steve and Lori Felten. The Lodi wine region is located between the San Francisco Bay Area and the Sierra Nevada Foothills. It is famous for their older vines which produce their world famous Zinfandels. Lodi has been a major winegrowing region since the 1850s. Grapes were always part of the local landscape, growing wild, dangling from the trees along the riverbanks. Early trappers called one stream “Wine Creek,” due to the abundance of wild vines. Today, more than 750 growers and about 60 wineries are located in this picturesque rural area. With 500.000 acres, it is one of the largest appellations of California, about double the size of Germany. Lodi has a Mediterranean climate, with warm, dry summers and cool, moist winters. Deep, sandy clay loam soils predominate. 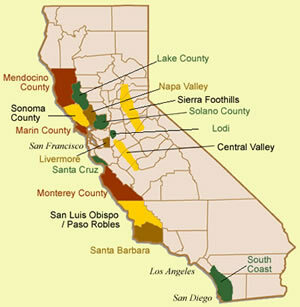 California accounts for nearly 90 percent of the American wine production. The first wineries were established by missionaries in the South of California. The Gold Rush in the mid-19th century brought waves of new settlers to California. At the turn of the 20th century, nearly 800 wineries existed in California and worldwide recognition seemed imminent, when Prohibition hit the industry in 1920. By the time that Prohibition was repealed in 1933 under President Franklin Roosevelt, only 140 wineries were still operating in California. Californian re-entered the international stage at the 1976 Judgment of Paris wine competition, when Californian wines beat out French wines in both red and white wine categories. Today, there are more than 1,200 wineries in the State, ranging from small boutique wineries to large corporations. In general, by German or French standards, American wineries are large. Lodi focuses on Zinfandel but also produces Syrah wine. Zinfandel is a red grape variety planted in over 10 percent of California vineyards. It was long considered to be the “American Grape”. But new research revealed that it is genetically equivalent to the Croatian grape Crljenak Kaštelanski, and also the Primitivo variety traditionally grown in the "heel" of Italy, where it was introduced in the 1700s. The grape found its way to the United States in the mid-19th century. With roots in Germany and Russia, the family settled in Lodi, first producing watermelons. Recognizing that the soil and climate were ideal for growing grapes, they began to plant varieties that included Zinfandel, Tokay, Carignane, and Alicante. For over one hundred years, the family has cultivated the land with the aim of producing top quality fruit. Zinfandel was one of the first grape varieties to be planted in the Lodi appellation, although it had also been established in other parts of the California. In 1996, the Felten family began to produce Zinfandel for the bulk wine market. In 2000, Steve and Lori made the decision to start their own winery with the mission to produce exceptional Zinfandel. They continue to make wine from all of the vineyard blocks, culling only the very best lots for bottling Klinker Brick and designated vineyard wines. They produced their first Syrah in 2001. The Felten Family own and manage fifteen individual vineyard blocks of “Old Vine” Zinfandel that range in age from 35 to 110 years old. Each vineyard is planted in sandy loam soils along the Lodi Mokelumne River Region and up into the Clements Foothills. These vineyards are generally head-trained and dry farmed, yielding an average of 2.0 to 3.5 ton per acre. Some of the oldest vineyards have yields as small as 0.25 ton per acre. While there are significant limitations in the quantity of grapes produced, the quality of fruit is exceptional. The grapes come from several different vineyards within the Lodi Appellation, depending upon the highest quality of fruit produced each year, and has included several vineyards in the Mokelumne and in the Clements Hills region. The vineyard area totals 400 acres. Lodi has a very small portfolio; it produces only 3 wines. I was able to taste the 2 Zindfandels, but not the Syrah. The notes below are winemaker notes. This wine offers aromas of black cherries and fresh strawberries and toasty oak. On the palate, there are layers of dark fruit intermingled with sweet vanilla and spice. Smooth and long, lingering finish. The 2008 Old Ghost is a blend of two old vine zinfandel vineyards, 89 and 98 years old. Yields were well under one ton per acre. The wine has exotic spices of cardamom and black pepper on the nose, infused with bright, black cherry fruit. On the palate, it is rich, round and full-bodied with flavors of brambleberry and chocolate covered cherries yielding to a long and lingering finish. The wine is named after Steve and Lori Felten's daughter, Farrah. A single vineyard wine with a deep, rich garnet color. It shows tobacco, mint and cherries on the nose. With dense silky layers of raspberry and chocolate, this full-bodied wine finishes with hints of earth and spice with a long, smooth finish. 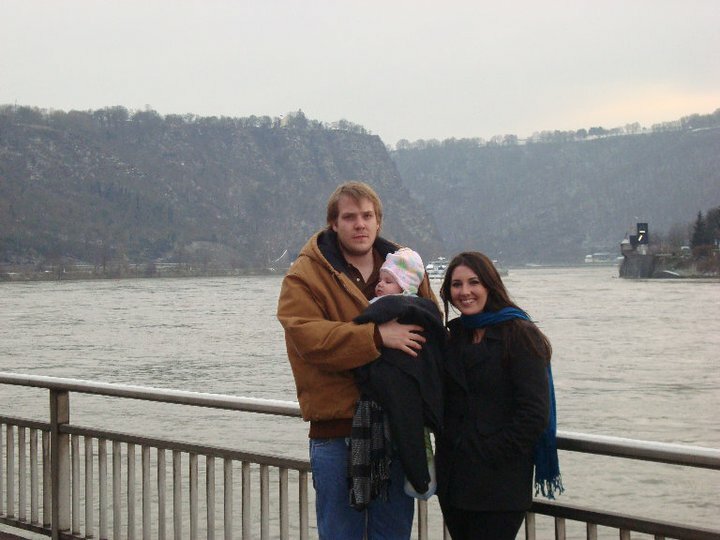 I became a proud grandfather of little Lorelei P. F. Schiller last year. Of course, when in Germany, we had to go to the Lorelei (also spelled Loreley) rock in the Rhine valley. The Loreley rock is located in the middle of one of Germany’s 13 wine regions, the Mittelrhein and there is plenty of Loreley wine. The Loreley is a rock on the eastern bank of the Rhine River near St. Goarshausen, about 80 km away from Frankfurt, which soars some 120 meters above the waterline. It marks the narrowest part of the river between Switzerland and the North Sea. A very strong current and rocks below the waterline have caused many boat accidents there. At the southern slope of the rock, a sevenfold echo could once be heard, but nowadays this is drowned out by the noise of traffic. The rock and the echo it creates as well as the boat accidents have inspired various tales. 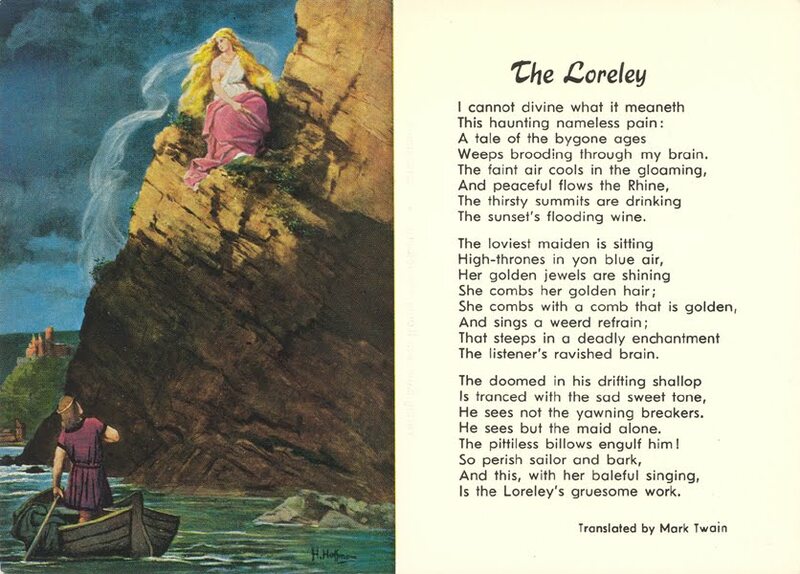 One of the legends is that Loreley, a beautiful young maiden, committed suicide because of an unfaithful lover. She jumped from the steep rock into the Rhine River, thus killing herself. She then became a siren, distracting shipmen with her hypnotizing voice and creating the boat accidents. The Loreley rock itself has a visitor's platform on top and an open-air theatre a few hundred meters away. The 65km long Rhine Gorge between Bingen/Ruedesheim in the south and Koblenz in the north, with the Loreley rock in the middle of it, is a Unesco World Heritage area with 40 castles and fortifications, mostly built during the middle-ages, dotted along the precipices above the river. In 1801, German author Clemens Brentano wrote the poem “Zu Bacharach am Rhein”, which first created the story of an enchanting female connected to the rock. 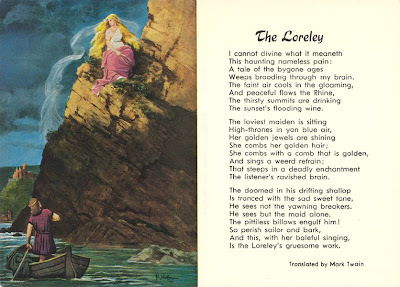 In the poem, the beautiful Lore Lay is falsely accused of maliciously bewitching men and driving them to ruin; later pardoned and on the way to a nunnery she passes and climbs the Lorelei rock, watching out for the lover who abandoned her, and falls to her death; the rock still retained an echo of her name afterwards. Brentano's poem was followed by many other authors who took his story and wrote versions of their own. Most famous is the poem “Die Lore-Ley” by Heinrich Heine. In fact, it was with Heinrich Heine's 1823 poem about a virgin combing her golden hair with a golden comb, while singing a song with a haunting melody and Friedrich Silcher's setting of it to music a year later, that the legend really took off. Keeps brooding through my brain. - translation: Mark Twain, 1880. # George and Ida Gershwin wrote the song Lorelei for their musical Pardon My English (1933). # Mark Twain references the Lorelei in A Tramp Abroad. # Paul McCartney sings "someone's on a mission to the lonely Lorelei" in his 1998 single Beautiful Night, which can be found on the 1997 Flaming Pie album. # The Scorpions released an album in 2010 called Sting In The Tail containing a song called "Lorelei". # Cole Porter wrote a song 'Lorelei', notably sung by Ella Fitzgerald. The Loreley rock is part of the Mittelrhein wine region (Anbaugebiet), one of Germany’s 13 wine regions. Mittelrhein is divided into two districts (Bereich), 11 regional sites (Grosslage) and 111 single vineyard sites (Einzellage). At each level, “Loreley” is used to name wine areas. 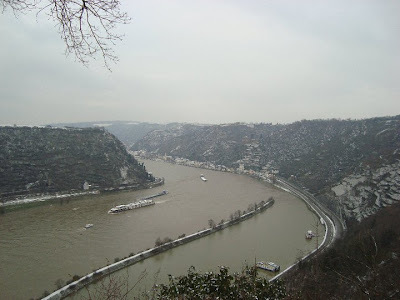 (1) Bereich Lorelei - One of the 2 districts of the Mittelrhein is called Loreley. It comprises by far the greatest part of Mittelrhein and follows the Rhine River from the town of Unkel in the north, about 17.5km south of Bonn, to Lorch in the south, where the Mittelrhein begins. (2) Grosslage Loreleyfelsen – One of the 11 regional sites (Grosslage) is called Loreleyfelsen (Loreley rock). (3) Einzellage Lorey Edel - Finally, at the lowest level, one of the single vineyards of St. Goarshausen, where the Loreley rock is situated, is called Loreley Edel (Loreley Noble). Beginning just below Bonn and extending about 100 km south along the banks of the Rhine, the Mittelrhein is a beautiful region of steep, terraced vineyards and some of the wine world's most splendid scenery, medieval castles and ruins clinging to rocky peaks, sites of ancient legends where Siegfried, Hagen and the Loreley seem to spring to life. Nearly three quarters of the vineyards are planted with Riesling. Viticulture was established in the region by the Romans, once they had established the cities of Cologne (Colonia) and Bonn (Bonna). The region saw its heyday in medieval times, at a time when the Cistercian order built the Kloster Heisterbach abbey above Oberdollendorf. The small town of Bacharach is an ancient centre of the wine trade. The name of the town of Bacharach comes from the Roman "Baccara" = "Altar of Bacchus". The Mittlerhein below St. Goarshausen is one of the few vineyards in the world where phylloxera has not yet struck. Small, family-run wineries are typical of the region. But winemaking in the Mittelrhein is shrinking at a rapid pace. Today, with 500 hectares vineyard area, it is less than 25% of what it was 100 years ago. The slopes are extremely steep, discouraging young winemakers to continue with the tradition of their fathers, while consumers are flooded with reasonably priced and good quality wines from all over the world. 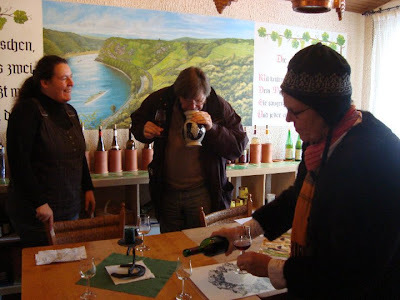 We chose to buy our wines for the baptism of Lorelei at the wine cooperative (Winzergenossenschaft) Loreley in Bornich. It has a very good reputation for producing decent wines. The wine cooperative Lorely was founded in 1935 and has 60 members today. It is about 2 km away from the Loreley rock. Its vineyards total 6 hectares in the villages of Bornich, St. Goarshausen und Dörscheid. All the vineyards of the wine cooperative Loreley are located in the Bereich Loreley. The wine cooperative’s Großlagen are Loreleyfelsen and Herrenberg. The single vineyards are: St. Goarshaeuser Burg Katz (1.2 ha), St. Goarshäuser Loreley Edel (1,2 ha), Bornicher Rothenack (3,3 ha), Dörscheider Kupferflöz (0,1 ha). Grape varieties: 77 % Riesling, 7 % Kerner, 7 % Müller-Thurgau, 8 % Spätburgunder and 1 % Regent. 1200 people live today in Bornich, which was first mentioned in 1138 as Bornacho. The wine cooperative has currently about 30 wines in its portfolio. These range from the entry level sweet-style and dry white wines in the liter bottle for Euro 4,00 to a noble sweet 2003 Bornicher Rothenack Riesling Beerenauslese for Euro 23.50 in the 0.375 bottle. We bought 6 cases of the 2009 Loreley Riesling trocken (Euro 4.20/ in the 0.75 bottle) and 3 cases of the 2008 Spaetburgunder trocken (Euro 5.50/ in the 0.75 bottle) – both decent, good quality wines, just perfect for the reception and lunch following little Lorelei’s baptism. In addition, the 2009 St. Goarshaeuser Loreley Edel Riesling Auslese for Euro 6.70 in the 0.75 bottle was a steal. Finally, the wine cooperative Loreley also produces a Loreleysekt for Euro 8.80 in the 0.75 bottle, as brut, trocken and lieblich. The Sekt is made in the traditional method, i.e. the process used in the Champagne region of France to produce Champagne. We bought 4 cases of the brut version. It is excellent. Matthieu Mangenot, the Managing Director of Domaine Long-Depaquit in Chablis - one of the 4 Domaines owned by the Bichot family - came to town to present his new wines. I was thrilled to meet him and taste his wines at Pearson’s in Washington DC. Chablis is part of the Bourgogne wine region, but wines from Chablis are usually referred to by their own name. The 4 Domaines of the Bichot family are located in different regions of the Bourgogne, while the Bichot headquarters is in Beaune, the main Burgundian winemaking town, located more than 100 km away from Domaine Long-Depaquit. 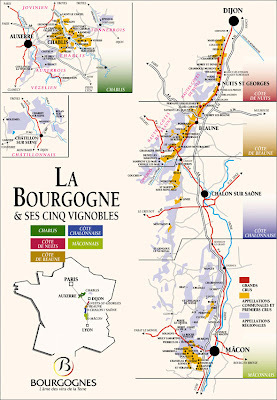 The Bourgogne is one of the most famous wine regions in the world. Chablis is up in the north, a separate wine region. Some way south of Chablis is the Côte d'Or, where Burgundy's most famous wines originate. All Grand Cru vineyards of Burgundy (except for Chablis Grand Cru) are here. The Côte d'Or is split into two parts: the Côte de Nuits in the north and the Côte de Beaune in the south. The wine-growing area is just 40 kilometres long, and in most places less than 2 kilometres wide; the area is made up of tiny villages. Further south is the Côte Chalonnaise, where a mix of mostly red and white wines are produced. Below the Côte Chalonnaise is the Mâconnais region, known for producing easy-drinking and more affordable white wine. Further south again is the Beaujolais region. The Bourgogne (including Chablis but excluding Beaujolais) covers a total of 28,000 hectares. Chablis wines are almost all Chardonnay, bone-dry and fresh, with good acidity. Compared with the whites from the rest of Burgundy, Chablis tends to have much less influence of oak. Typically, Chablis is completely unoaked, vinified in stainless steel tanks, although many Grand Cru and Premier Cru wines receive some maturation in oak barrels. But aging time in the barrel and the share of new wood tends to be much smaller than for white wines of the Cote d’Or. "Chablis has a refreshing style, which the other Chardonnays from Bourgogne do not have. Chablis is not barrel-fermented and the influence of oak is very limited" says Matthieu. The vineyard area totals 4,000 hectares. All of Chablis' Grand Cru vineyards and Premier Cru vineyards are planted on primarily Kimmeridgean soil which is composed of limestone, clay and fossilized oyster shells. Chaptalization is practiced although the riper vintages in recent years have diminished the need to chaptalize. Burgundy is the most terroir-oriented region in France. Immense attention is paid to the area of origin, as opposed to Bordeaux, where classifications are producer-driven and awarded to individual chateaux. A specific vineyard or region will bear a given classification, regardless of the wine's producer. The main levels in the Chablis classifications, in descending order of quality, are: (1) At the top of the classification are the 7 Grand Cru vineyards, which are all located on a single hillside near the town of Chablis. The Grand Cru vineyards account for around 3% of Chablis’ production. (2) Second in quality are the Premier Cru vineyards, which number 40, covering an area of 750 hectares. (3) Next is the generic AOC Chablis. (4) At the lowest end of the classification is Petit Chablis which comprises the outlying land. In addition, the Bichot family is also a traditional négociant house of Burgundy. Monks and monasteries had an important influence on the history of Burgundy wine. As the power of the (Catholic) church decreased, many vineyards which had been in the church's hands, were sold to the bourgeoisie from the 17th century onward. The Napoleonic inheritance laws resulted in the continued subdivision of the most precious vineyard holdings, so that some growers hold only a row or two of vines. Clos Vougeot, for example, which was a single 125 acre run by the monks, today is parceled into plots owned by nearly 80 different owners. This led to the emergence of négociants, who aggregate the fruit of many growers to produce a single wine. Négociants play a vital role in the Bourgogne, ranging from simple labeling and distribution, to carrying out the entire wine-making process. Négociants may supply wines at all quality levels, including Grand Cru. The Long-Depaquit estate is Bichot's foothold in Chablis. The wine history of Domaine Long-Depaquit dates back to 1128 when Cistercian monks at the Abbey of Pontigny built a cellar and began cultivating vines around the site of the present day Chateau. In 1790 Jean Depaquit – the former Abbot of Pontigny – and his brother Simon purchased the abbey’s vineyards, including the already famous Moutonne. The 10 hectare domaine remained in the family until 1968 when it was purchased by the Bichot family. The Bichot family has steadily expanded the domaine’s holdings up to now 70 hectares, including 10% of all the Chablis Grand Crus. "We own 10% of the Chablis Grand Cru area in 6 different vineyards" says Matthieu. "What about exports" I asked. "30% of the our production is sold in France and the rest exported" answered Matthieu. After harvest - by hand for the premier and grand cru vineyards - the fruit is transported to the winery near the centre of town Chablis, where it is destemmed and then pressed. After settling for 3-4 days, the juice is then pumped up to the fermentation vessels. Most of the grapes are fermented in stainless steel tanks, although a percentage of the premier and grand cru wines is fermented in oak, including some new oak. With a variety of sizes of vats, all thermo-regulated, this is a cool, plot-by-plot fermentation. The first fermentation lasts 15-30 days, after which comes the malolactic fermentation, sometimes the following spring. Once complete, the wine is blended in the Long-Depaquit cellars, before transported to the Bichot facility in Beaune where it is bottled. I enjoyed talking with Matthieu Mangenot, who speaks fluently English. He has been the Regisseur of Domaine Long Depaquit since 2007. I had never heard the term Regisseur before, but this what his card says. Matthieu explained to me that he is the Managing Director of the Domaine. Matthieu grew up in Paris and studied agriculture in Montepellier in the South of France. He took his first job in the Beaujolais region and then moved on to the Maconnais before joining Domaine Long Depaquit. He is assisted by vineyard manager Olivier Deboudt and winemaker Alain Serveau. All in stainless steel. No oak. There is 20% oak in this cuvée. Just 10% of the final blend sees some oak here. It is a 2.5 hectare monopole, which has belonged to this domaine since shortly after the revolution. It lies mostly in Vaudesir, but .11 hectares span Les Preuses as well. It lies in a natural amphitheatre, high on the Grand Cru slopes, which provide the minerality and richness for which it is known. Around 25% of the wine is matured in a blend of new and mostly older barrels. 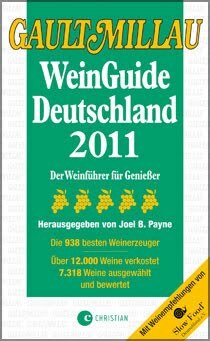 Gault Millau published its new wine guide for Germany - Gault Millau WeinGuide Deutschland 2011 - in November 2010. It reviews on 912 pages about 948 wineries, with about 7500 wines. Its rating symbol is a grape and Germany’s best winemakers are awarded one to five grapes, a bit like the forks in the Gault Millau food guide. I was in Germany, when the 2011 Gault Millau WeinGuide Germany came out. Immediately, I called Weingut J. Leitz, but was told that Joseph Leitz had just left for a trip to the US. However, his head winemaker Eva Fricke was around and ready to receive me. Weingut Philipp Kuhn is in the Pfalz region. Philipp Kuhn took over the family winery in 1992, when he was just 20 years old. The vineyard area totals 16.5 hectares. The vineyards are planted in a about equal parts with red and white grapes. Philipp Kuhn is one of those German winemakers who confidently cover what seems like the whole spectrum of wine, from Riesling to Pinot Blanc, Sauvignon Blanc, Chardonnay, Muscat, Viognier, Pinot Noir, St. Laurent, Lemberger, Merlot and a few others. Weingut Philipp Kuhn is a member of the VDP. "Since he took over the family estate at age 20 in 1992, he has worked his way up with great energy and enthusiasm for fine mineral Rieslings and velvety Pinot Noirs” said editor Joel Payne during the presentation. The 36 year old Arno Augustin from the Franken region is the discovery of the year. Arno Augustin studied in Geisenheim enology and graduated as Diplom-Önologe. The family-run (with his wife Verena) winery has 11 hectares of vineyard land, planted mainly with Silvaner, Bacchus, Riesling, Müller-Thurgau. Weingut Gerhard Aldiner is in Fellbach in the Württemberg wine-growing region in Germany, which is very little known outside of Germany. In fact, more wine is consumed here than anywhere else in Germany - twice as much as in the rest of Germany. The German poet Friedrich von Schiller wrote already several centuries ago: “A Württemberger without wine--is that a real Württemberger?” In Württemberg the Trollinger is the most important variety. It is a typical Vierteleswein, equivalent to a vin ordinaire and so-called because such wines are normally ordered by the quarter liter. There is also Lemberger, which is a much better wine. Weingut Gerhard Aldinger convinced the Gault Millau editors in particular with its Lemberger wines. Weingut Gerhard Aldinger has a long winemaking tradition, going back to 1492, when „Bentz der Aldinger" was already planting vines there. Today, the estate is run by Gert Aldinger, the 15th generation of the family, with the help of his 2 sons Hansjörg und Matthias. The vineyard area totals 20 hectares. Weingut Gerhard Aldiner is a member of the VDP. Germany is one of the largest sparkling wine markets in the world, which is not well know around the world. Germans drink lot of sparkling wines. One out of four bottles of sparkling wine produced in the world is consumed in Germany, roughly 500 million bottles. Sekt is made in all German wine regions, both in the méthode traditionnelle and charmat method. There are three groups of Sekt makers: (i) large and (ii) smaller Sekt houses, who only make Sekt and (iii) winemakers, who make predominantly wine, but complement their wine selection by a few Sekts. The Sekts produced by large Sekt estates tend to be in the demy-sweet and sweet range, while the Sekts of smaller estates and the wine makers are mostly in the brut and extra brut range. The smaller Sekt houses, like the large Sekt houses, do not own vineyards, but buy the base wine from winemakers. They also tend to have a long history and often links to the champagne region, beautiful facilities and old cellars for the second fermentation and storage. The big difference is that they typically have not gone the route of tank fermentation but continue to ferment in the méthode traditionnelle. Raumland belongs to the third group, but is kind of unique in Germany. Raumland makes a bit of still wine but is clearly focusing on his world class Sekts. The Raumland Sekts are like Champagnes, without copying them, say his fans. I had the pleasure to participate – with the Weinfreundeskreis Hochheim – in a wine tasting at Weingut Huber in Baden. Weingut Huber is one of the leading German red wine producers. Der Feinschmecker, the leading German food and wine journal, carried in the November 2009 issue an article about German red wine. Its message is that Germany has established itself as a serious red wine country during the past 30 years. Der Feinschmecker portraits 10 winemakers behind this wine revolution. One of them is Bernhard Huber. It is not for no reason that he was Gault Millau’s wine producer of the year in 2007. The Huber Estate is located in Malterdingen in the Breisgau area. In 1987 Bernhard Huber and his wife Barbara started their own Estate, leaving the co-operative. 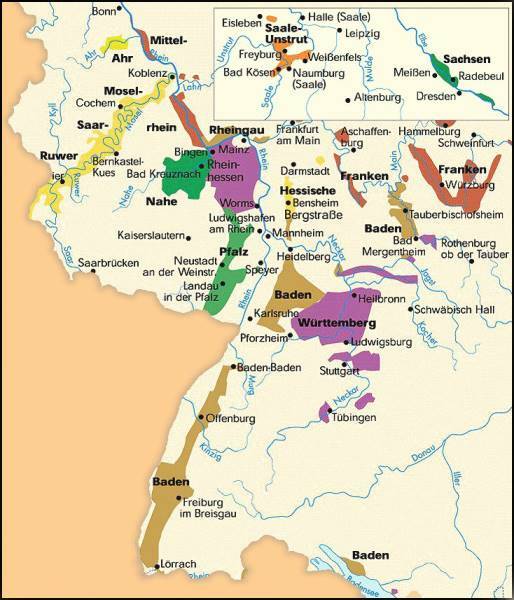 The vineyard area totals 26 hectares, with holdings in the Bienenberg (Malterdingen), Schlossberg (Hecklingen) and Sommerhalde (Bombach) sites. 70 % is planted with Pinot Noir, the rest with Chardonnay, Pinot Blanc, Pinot Gris, Auxerrois, Freisamer, Muskateller, Müller-Thurgau, Cabernet Sauvignon and Merlot. The Huber Estate is a member of the VDP and the Deutsches Barrique-Forum association. Congratulations to Weingut Robert Weil on having their 2009 Kiedrich Turmberg Riesling Trocken named a Wine Spectator Top 100 wine for 2010 in the US and on having their 2009 Kiedricher Graefenberg Spaetlese named Best Spaetlese of the Year (Gault Millau WeinGuide 2011) in Germany. The Turmberg is pretty dry with a normal level of alcohol and the Graefenberg is pretty sweet with a low level of alcohol – and both are German world class Rieslings from adjacent vineyards and the same vintage. Founded in 1875, Weingut Robert Weil in Kiedrich is currently the Rheingau’s #1 estate and among Germany’s top 10 estates. Four generations and over a century ago Dr. Robert Weil, who was a Professor of German at the Sorbonne was forced to leave Paris because of the Franco-Prussian War (1870/1871). He subsequently joined his brother August in the Rheingau and established the Robert Weil winery. Contacts throughout the world and the production of great wines brought rapid growth to the estate. Today the estate is managed by Wilhelm Weil, who owns the winery jointly with Suntory from Japan. 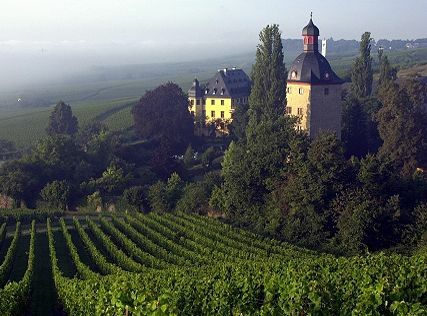 With 75 hectares under vine, it is one of the largest estates in the Rheingau. The vineyards are planted 99% with Riesling and 1% with Spätburgunder. This is an outstanding lusciously sweet Riesling. At the invitation of Wilhelm Weil, I recently participated in a tasting of lusciously sweet Rieslings, as part of the 1st International Riesling Symposium at Schloss Rheinhartshausen in the Rheingau in Germany. The symposium was attended by about 150 people, including such luminaries as Jancis Robinson from the UK, Willi Bruendlmayer from Austria, Helmut Doennhoff from the Nahe, Ernst Loosen from the Mosel and Colette Faller from Domaine Weinbach in Alsace, and many others. I have provided my impressions about the symposium here and the tasting of 21 lusciously sweet Rieslings from Germany, France and Canada here. Dianna Lee, Co-Winemaker and Co-Owner of Siduri Wines and Novi Family Wines, came to Washington DC to show us her new releases at the Curious Grape in Arlington, VA.
Dianna Lee is great fun to listen to. She is charming, entertaining, and knows her stuff. She and her co-winemaker, co-owner and husband Adam Lee grow up in Texas. Adam graduated with a degree in politics and she graduated with a degree in business. “Adam then changed course and decided to go into wine, become a wine journalist and move to California. But before doing this, he started at the Wine Department at Neiman Marcus in Dullas, where I had the same time started working in the Epicure Department” said Dianna. As fate would have it, they started dating and eventually fell in love. They also drank a lot of great wine together at Neiman Marcus and Dianne decided to go with Adam to California. They ended up working together at a small winery in the Dry Creek Valley. Along the way, Dianna and Adam decided that they would like to try producing a small amount of wine. Pinot Noir was their favorite wine so they figured that’s what they should make. They purchased one acre’s worth of grapes and made their first wine – a grand total of 107 cases. Robert Parker heard about Dianna and Adam Lee’s wine and gave it a 90-point rating in the Wine Advocate. Their winery, Siduri Wines, took off from there. Siduri Wines only produces Pinot Noir wines. In Germany, the Pinot Noir is called Spätburgunder. It is to red wine what the Riesling is to white wine: the cream of the crop. In the US, Pinot Noir shows great promise in Oregon and California. The reputation that gets Pinot Noir so much attention, however, is owed to the wines of the Bourgogne in France, where it has probably been cultivated since at least the 4th century (first documented, however, in the 14th century). Siduri is named for the Babylonian Goddess of wine, who, in Babylonian mythology, held the wine of eternal life. Siduri Wines released the first wine in 1994. Today, Siduri produces Pinot Noir from 20 different vineyards stretching from Santa Barbara in Califronia to Oregon’s Willamette Valley. Siduri specializes in ultra-premium Pinot Noirs. Dianna and Lee do not own any vineyard lard, but buy all grapes from growers. Production is about 10000 cases. Adam and Dianna, together with Dianna’s family, formed Novy Family Wines in 1998 to work with other varietals than Pinot Noir. Novy Family Wines specializes in producing Syrah from Napa, Sonoma and Santa Lucia Highlands, but also produces small bottlings of other varietals, including Zinfandel, Grenache, Viognier, Chardonnay and Pinot Meunier. The production is 5000 cases. “Our winemaking goal is to produce wines that best capture the distinct flavor and character of a given vineyard site” said Dianna. “In the cellar, we believe in minimal intervention, gentle winemaking. We let the wine make itself. We do not want to do anything to the wine that isn’t absolutely necessary. We believe in bottling our wines unfiltered and unfined whenever possible. To encourage maximum quality of the grapes we buy, we purchase the majority of the fruit by the acre rather than by the ton. In doing this, the grower has a commitment from us regardless of yield, so they are happy to comply with our desire to reduce yields in order to maximize the concentration of flavors in the remaining grapes” explained Dianna during the tasting. A wonderful Gewürztraminer. You never know what to expect from this varietal, but in this case the wine is dry and freshly crisp in acidity. The wines has a rich, creamy texture. 250 cases. Pinot Meunier is not exactly a household name. Though perhaps it should be as it is the most widely planted grape in Champagne and, as such, more folks have probably drunk Pinot Meunier than Pinot Noir. “We get a very small amount of Pinot Meunier from the Van der Kamp Vineyard high upon Sonoma Mountain. For quite a few years now we have produced this Pinot Meunier. Pinot Meunier as a still wine obviously spends time on the skins. In this regard, we treat Pinot Meunier much like Pinot Noir, with a cold soak, frequent punchdowns, and pressing to barrel at dryness. One thing we have discovered over the years is that Pinot Meunier does not like new oak. We carefully avoid exposure to oxygen with Meunier, never racking the wine prior to bottling and finally only doing so under the cover of argon” said Dianna. Dianna explained: “In 2009 a long, cool, even keeled growing season was perfect for getting all of our Russian River vineyards to ripen evenly. After much trial and error we settled on a blend that is 33% Keefer Ranch, 33% Pratt Forestville Vineyard, 16% Sapphire Hill, and 17% Ewald Vineyard Pinot Noir. This wine is also a blend of many different clones, including Dijon Selections 114, 115, 667, and 777 along with Pommard, Wadensweil, and Clone 23”. 1350 cases. Dianna said: “We started purchasing fruit from the Garys’ Vineyard in 1999, two years after we first purchased Santa Lucia Highlands Pinot Noir from the Pisoni Vineyard. Although we knew the vineyards would be different we never imagined exactly how much so until a few years later. While both Pisoni and Garys’ are planted to the Pisoni-selection of Pinot Noir, and both are farmed with meticulous care by Mark Pisoni and Gary Franscioni, that is where the similarity seems to end. The Garys’ Vineyard inevitably ripens later than the Pisoni Vineyard and produces more high-toned, redfruited, higher acid wines. Over the last few vintages we have been working hard to take advantage of these differences, fine-tuning our winemaking to emphasize the unique character of the Garys’ Vineyard and produce an even more complex Pinot Noir.” 466 cases. The 2006 Novy Russian River Valley Syrah is a blend of grapes from three different vineyards (37% Sapphire Hill Vineyard Syrah, 33% Parsons’ Vineyard Syrah, and 30% Amber Ridge Vineyard Syrah. All of the vineyards are located between Fulton and Windsor on the west side of Highway 101). The blend consists of twenty-seven barrels with only 3 barrels being new. “This allows the wine’s natural character to shine thru without the intrusion of too much oak” said Dianna. 643 cases. The Curious Grape is an independent wine shop, owned by Suzanne McGrath that carries wines from around the world. It is located in Shirlington Village, in South Arlington, Virginia. The shop is adorable with a very good selection of wines (as well as beer, cheese and chocolate) and super helpful staff.